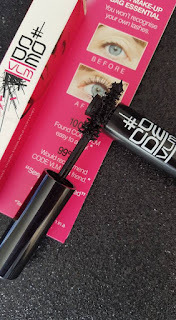 Today on the blog we are looking at a mini version of one of the most popular mascara products to hit our shelves in the last twelve months the Code VLM mini mascara. First off I just wanted to say I haven't actually tried the full size of this product so this review is purely on the mini product itself. As with any package I get it's the packaging that I am attracted to first an this little cutie is perfectly fitting to my style. I love anything pink so the mini mascara with it's big pink background is so cute! 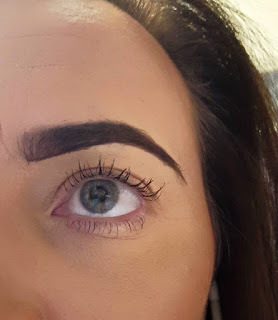 Mini mascaras can be so handy for travelling, I'm never sure as you go through security at the airport should my mascara be in that little plastic bag or not so I'm always of the mind frame 'better safe then sorry' so I lob my mascara in. The size of this min mascara is perfect for such occasions so that's the second plus from me, the packaging and the size. "CODE VLM MINI CODE VLM MINI proves good things do really come in small packages! Due to demand from our customers, we created a CODE VLM mini version. 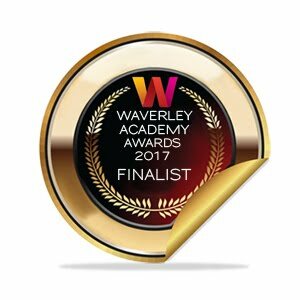 An industry favourite, it really packs a punch when creating stand out lashes. The unique formula and intricate dual bristles coat each individual lash creating naturally fuller lashes without the hassle. Using the CODE Beautiful ‘Roots, Wriggle and Roll’ technique described on this stylish mascara box will ensure you have clump free gorgeous long and volumised lashes all day long. The mini is your make-up bag essential for the Summer and perfect top up partner. Taking you from day to night, desk to disco...! 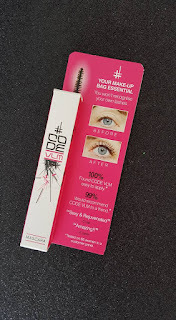 CODE VLM MINI (3.5ml) RRP €15.00"
The quality of my photo might not be great here but you can see that the brush head gets jam packed with product so you’re sure to really coat your lashes. 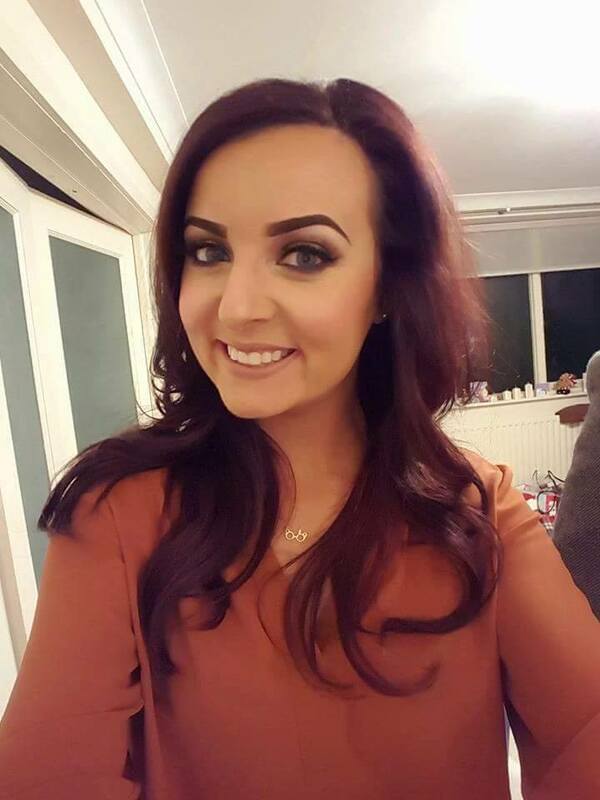 I liked how in the press release it describes the movements to use to really create a great lash and I have to agree it’s perfect when you use the 'roots wriggle and roll'. I’ve been using this mascara for the last two weeks and I really like it. I love how it creates such a full look for daytime my lashes are separated and full. As you can see from my picture here the first thing in the morning look isn’t exactly my best but you can see the lashes look great, I was trying to get a decent lash angle but it’s a hard task let me tell you trying not to use selfie mode. All in all I think €15 might be a bit steep for people to pay out on a mini mascara but don’t let the mini fool you. 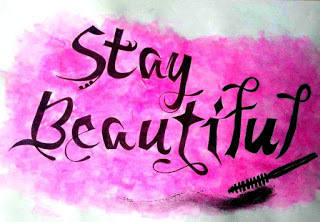 If you are like me you find yourself throwing away so many mascaras because you don’t actually finish them before they dry up, or no longer give you the same effect. 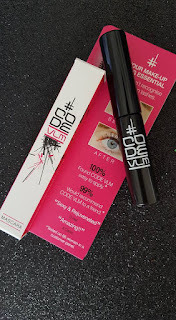 I think that yes while the CODE VLM Mini Mascara might be a bit more expensive than the mascaras you’re used to using, the quality is very good. I’ve tried sample size of mascara’s before from Cailyn and MAC and they don’t live up to their full size counterparts at all. Maybe I need to try the full size product to really make a comparison call but for now I will definitely say the CODE VLM Mini Mascara is one to watch and if you are travelling and you want a high quality mascara easy to bring travelling then spend the €15 on this little bad boy!